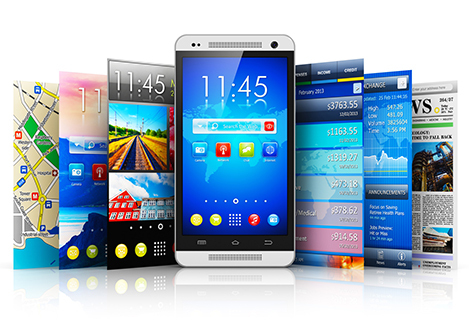 We help build highly customizable and interactive mobile applications. We are specialized in developing fully customized mobile applications using different platforms including Android, iOS, iPhone, iPad, and more. We are expert in development of enterprise, e-commerce, educational and utility mobile apps. We have high expertise in designing and developing critical, data and performance intensive apps for iPhone, iPad, Android, Blackberry and Windows Mobile devices. We also specialize in creating applications with rich user appeal that will help your business stand out of the competition. No matter how complex your app requirements are, our mobile experts possess enough expertise to shape your idea into a wonderful app. We can help you decide on the best development methodology that can cut down drastically on costs, irrespective of your preferred platform, be it Android or iOS. Our deep domain knowledge can help carve the right strategy for the most fruitful application life cycle pathway according to your individual capabilities, investment preferences and choice of tools.